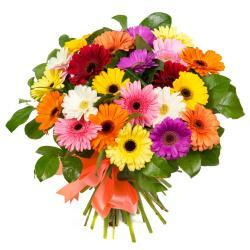 Bouquet of 10 Bright colors of Yellow and Orange Gerberas. 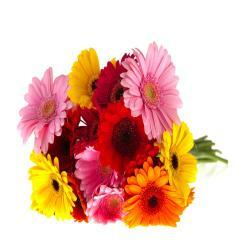 Sunshine Yellow to cerise Orange, gerberas are a simple statement of happiness. These versatile flowers unsurprisingly embody the light-hearted affability for which antipodeans is renowned. The combination of bright color and well-defined petals means these daisies look as sensational in as they do accompany only by a little green grass and fillers. Bouquet is a blooming expression of charming to cheer. 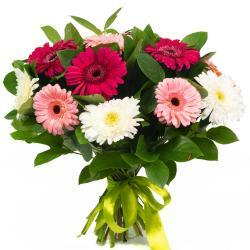 Bouquet is a wonderful way to celebrate any of life's special moments. Send this on different occasions like birthday, anniversary, missing you, wedding, valentines day, mothers day, rakshabandhan return gift, to congratulate, Diwali gift, Holi gift, Christmas and many more. 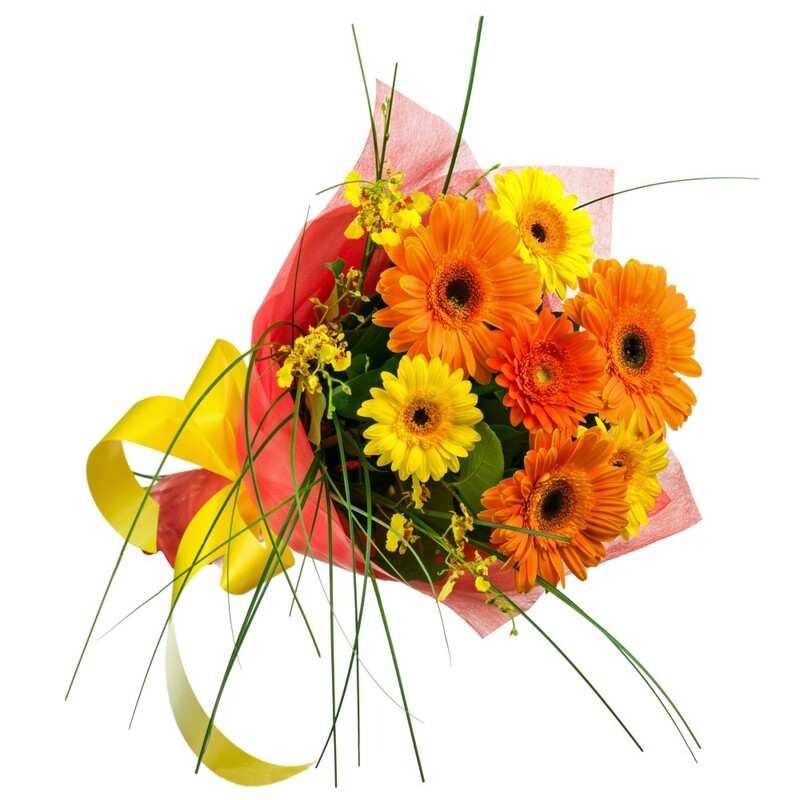 Giftacrossindia.com brings you this colored gerberas bouquet of very best price, so place your order and get to deliver this bouquet at your love one place. 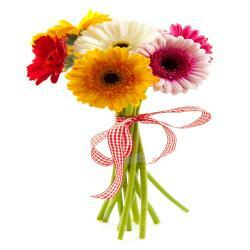 Product Details : Bouquet of 10 Bright colors of Yellow and Orange Gerberas.